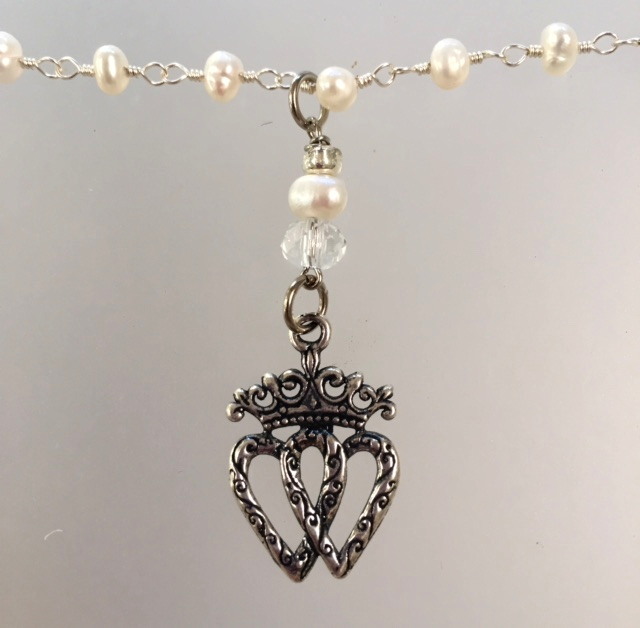 A strand of delicate Genuine Freshwater Pearls, upon which is suspended a Sterling silverplated Luckenbooth charm, cast from the original Art Nouveau Scottish piece over a century old, this lovely reproduction is hand crafted. 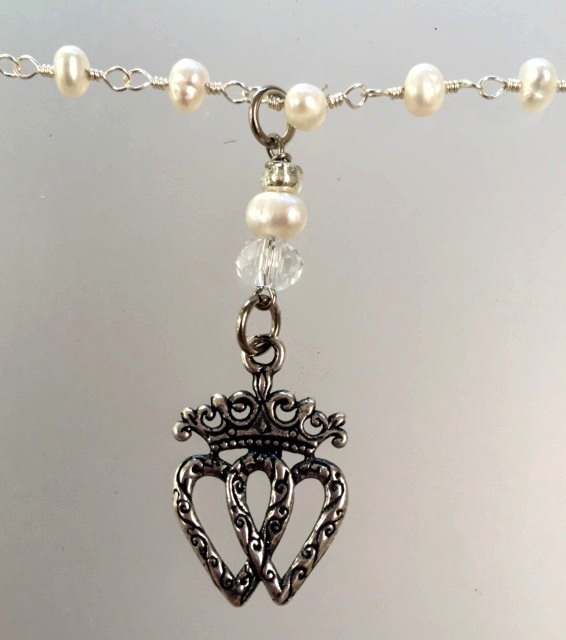 It is suspended from a Pearl, Crystal and Silver embellishment. A piece with wonderful movement to catch the light and make you sparkle! Necklace is 18" long, pendant is .75" by 1".